Cozy, one-bedroom/one-bath private condominiums. Enjoy the greenbelts and city lights from your patio and beautiful mountain views from the pools. 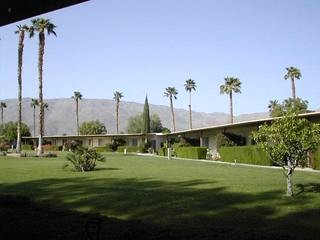 The Casino, Downtown Palm Springs, and the Tram are just minutes away. Come enjoy the beautiful weather Year Round!